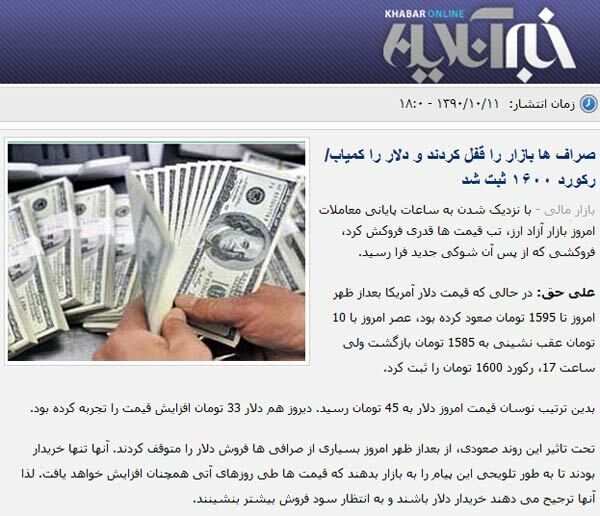 Payvand.com - According to khabar online news site, Iran's currency rial dropped further today ending at a record 16000 for a dollar. After the climb today, most exchange traders stopped selling and were only willing to buy, signaling they expect the rial's fall to continue. 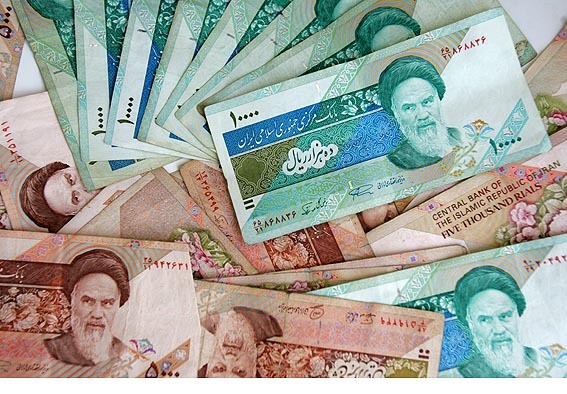 The recent flurry of sanctions against Iran, and the targeting of Iran's Central Bank by U.S. and European allies, are being mentioned as the factors negatively impacting Iran's currency. After the recent drops, Iranian President Mahmoud Ahmadinejad ordered Mahmoud Bahmani, the Central Bank Chief, to immediately bring the currency situation under control. However, rial's drop has continued since then. In 1979, 1 rial equaled $0.0141. The value of Iran's currency declined precipitously after the Islamic revolution because of capital flight from the country. In July 1999, 9430 rials amounted to one dollar. However, the value of the rial had become more stable since 1999, as the economy of Iran was growing rapidly and away from the dollar zone.